Bern, 24.02.2016 - The Federal Council today appointed Professor Martin Vetterli as the new President of the Ecole Polytechnique Fédérale de Lausanne (EPFL), thus following the recommendation of the ETH Board. Martin Vetterli is a Full Professor at EPFL and President of the Research Council of the Swiss National Science Foundation (SNSF). He will take office on 1 January 2017. Martin Vetterli succeeds Patrick Aebischer, who has had a successful 16 years at the helm of EPFL. With Martin Vetterli, the Federal Council is pleased to have been able to appoint as EPFL President a scientist with a distinguished international reputation and proven leadership qualities. The appointment for a regular term of office of four years was made at the request of the Department of Economic Affairs, Education and Research (EAER). It thus followed the unanimous recommendation of the ETH Board, which was underpinned by a broadly based and globally oriented selection procedure. Martin Vetterli has been Full Professor of Communication Systems at EPFL since 1995 and President of the National Research Council of the Swiss National Science Foundation (SNSF) since 2013. From 2004 to 2011, he was Vice-President of EPFL, and from 2011 to 2012 Dean of its School of Computer and Communication Sciences. Martin Vetterli will resign from his position with the Swiss National Science Foundation at the end of 2016. Martin Vetterli is 58 years of age and grew up in Neuchâtel, where he attended school up to university entrance qualification. In 1981, he obtained an Electrical Engineering degree from ETH Zurich. After being awarded the degree of a Master of Science by Stanford University (USA) in 1982, Martin Vetterli worked for three years as an assistant at EPFL, where he obtained his doctorate in 1986. Subsequently, he was engaged in research and teaching in the USA for almost ten years, inter alia at Columbia University in New York and at the University of California in Berkeley, where he was promoted to Full Professor. To date, his research in the fields of electrical engineering, computer sciences and applied mathematics has resulted in, among other things, about 50 patents, from which numerous high-tech companies have been able to benefit and which have enabled the establishment of several start-up firms. Martin Vetterli has received reputable scientific awards, such as a National Latsis Prize (1996), and is a member of renowned expert bodies, such as the US National Academy of Engineering. Martin Vetterli has proved his suitability as an executive of a globally oriented university in the course of his professional career, notably on the Executive Board of EPFL and as President of the Research Council of the SNSF. He has a profound knowledge of local education and science policies and excellent networks in research and innovation funding both at home and abroad. Martin Vetterli is thus optimally placed to continue the successful development of EPFL and of its position as an internationally oriented, innovative and extremely dynamic place of education and research. 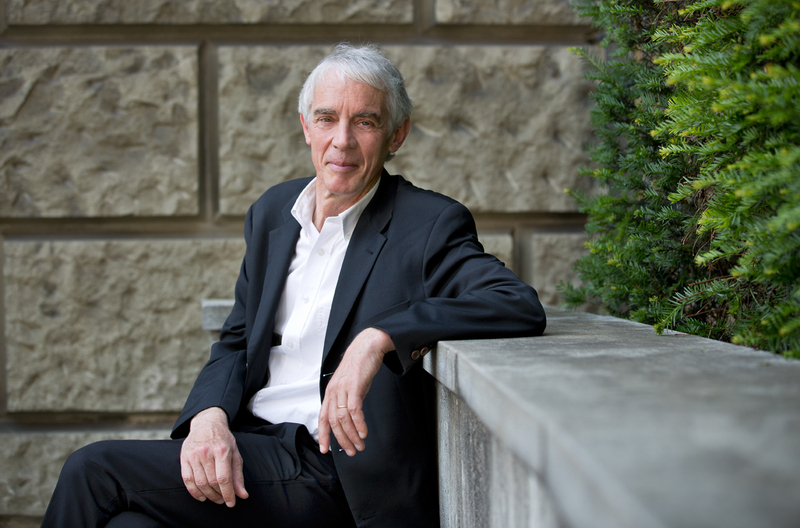 The current EPFL President, Patrick Aebischer, who has been in office since 1 March 2000, will continue to exercise this function until the end of 2016. During his incumbency, EPFL has developed into a globally leading university for natural sciences and technology, whose reputation and impact extend far beyond the region and the national borders.